Heavy rainfall across Lao PDR during the months of July and September 2018 caused massive devastation. The collapse of the dams in Xe-Pien Xe-Namnoy led to severe flooding across the country with the province of Attapeu being the worst affected. This fiscal year, 16 students from Laos have been awarded Japan’s MEXT scholarships. The scholars include eight to study master’s degrees, two attending a technical college, and six enrolled for specialised training. The first workshop on strengthening sub-national planning, coordination, monitoring and budgeting for better results for children was organized on March 12 in Attapeu province by the Department of International Cooperation of the Ministry of Planning and Investment, and the Attapeu Department of Planning and Cooperation with support from UNICEF Lao PDR. China’s transformation from a poor and backward nation into a modernized and prosperous one is proven to be an amazing achievement in human history of tackling poverty and providing a valuable experience for others including Laos, said Lao ambassador to China Vandy Bouthasavong recently. Laos and Vietnam will continue cooperation in the areas of media, printing and personnel development, as well as in information and communications. In order to contribute to the targeted tourism revenue, more than $ 700 million is expected to be made. Attracting more than one million Chinese tourists during the 2019 Chinese-Chinese tour. 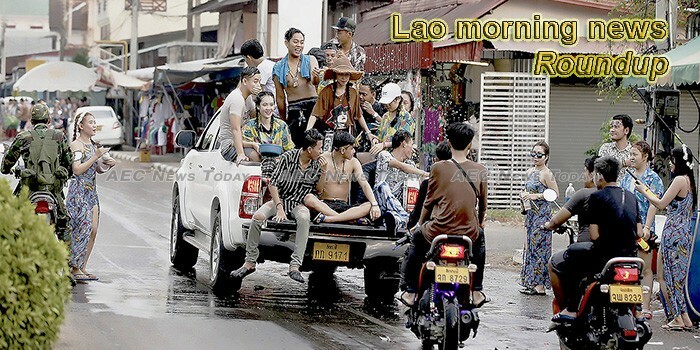 President Bounnhang Vorachit has impressed upon authorities in Xepon and Thapangthong districts of Savannakhet province the need to tackle antisocial behaviour, such as drug abuse, in order to maintain social order. Officials prepare a report on the United Nations High Level Forum on Progress In implementing the goals of sustainable development for 2019 in six areas, From Bangkok. The Vietnamese government is continuing its support programme by providing 1,273 scholarships for Lao students and officials to study in Laos and Vietnam this year.